Lots of events have happened to me, since the last time I blogged here. Yes, I am a full grown adult, yet I always ask my parents for their opinion before deciding on something. An important decision is going to take place and here, I am sharing it with the world. I have been offered a job at another store and I am going to take it. There. I have said it. I haven’t spoken to my parents as they are both on vacation at this very moment. I dread to think, what they are going to say. Is it going to be positive feed back or negative feedback? Too late, now. I have already agreed. Tenth of January, I was working at a new store that had opened in the next town, to where I live and to where I work. It was such a great experience and I loved every moment I was there working. New environment. New people. New customers. Great! After two weeks of working, lots of different shifts, twice as much of hours to what I normally work. Seven days a week non stop work, then having one day off. Then again working through my normal days off, doing crazy shifts like 1pm to 10pm , then starting the next day at 6am to 2pm. Good things happen to those who wait.. I had a good day at work today. I have been working in a new convenience store that opened on Friday, January 10. We’ve been giving free loaves of Warburtons bread 800g, to all our customers. It really was a great day. Will blog further about this day, on another page. Back to the point. Some times, years go badly for one, and it feels like the end of the world. 2011 was a great year for me. 2012 wasn’t particular and memorable one, a very dark year for. 2013 was tough. It felt like everyday I was drowning and trying to keep my head above the water. The thought of this, makes my heart race and starts me hyperventilating. Somehow I have battled through this and now this year, finally feels tingly. This topic has been on my mind for a long time. Organ donor versus Egg Donor. Is this the same thing? Would you donate a part of your body to someone who is ill, to help them survive? Or if you were dying or unwell, and needed an organ, you would look for someone who is compatible to yourself, to have an organ replacement. A great scientific thing. 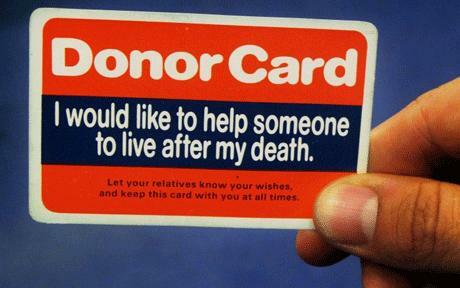 Fantastic that it works and people are filling out the forms to be an organ donor. I saw a leaflet about being an ‘Organ Donor’ when I was at the Ambulance and Emergency (A&E) at hospital, couple of weekends ago. I took a form and said to myself, yes, I would like to do such a great thing for the people of my world. Though recently, I found the form, folded in my handbag. I opened it up and did not read it. I admit, I looked at it once and then threw it away. I can’t do it. It is not that I don’t want to, it is a big scary decision. One of my colleagues at work, told me he is an organ donor. This decision he made himself and it is printed on his provisional driving license. Cool. A lot of my face book friends and out of work friends, do support this. Terrific. When I discussed this topic about donating an organ at school. we looked at the pros and cons, and everyone were like ‘OMG’, ‘Weird’ ‘Such a good thing to do’ – there was so many different views. I think back then, I was one of those kids, who was yes, very much for organ donating. Don’t get me wrong. I love donating. I am very generous when it comes to charity. Regular basis, giving money to different charities, all year round. Anything I see in newspapers or justgiving websites, I want to give and support them. If my body needed an organ, I guess, I would say no. No operation. No, I don’t want a heart. No, I don’t want blood. Isn’t organ donor – similar giving blood? If there is something wrong with my body, I will deal with it. Can’t fix it. Don’t worry. Not the end of the world. Fair play. That is her opinion. A traditional view? Yes, why bother trying? If some part of your body does not work, then why try? Science has advanced so much. 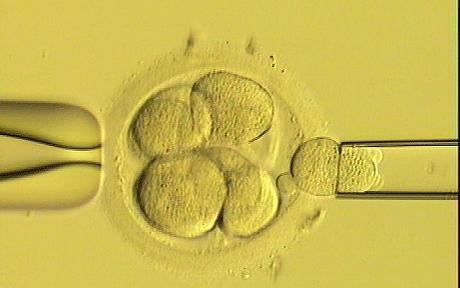 The first IVF baby was born 35 years ago this year, named Louise Joy Brown. In a time where such techniques were forbidden, unheard of, distrusted, not traditional. Bit like taboo. Then three decades later, IVF has become a very successful story. Well, I wouldn’t say a very VERY SUCCESSFUL story, as you never HEAR about the UNSUCCESSFUL STORIES very much. In Vitro Fertilisation ( also known as IVF for short) is a process in which to fertilize an egg outside the human body and is then implanted back into the uterus. This process is used to help those couple having trouble conceiving. As times have changed, the success rates have increased. I think it depends on numerous elements. Age, time, what your condition is etc. So, egg donors – would you categorize in the same section as a organ donor? I think I would. Similar sort of thing. Isn’t it? If you are a donor, and you want to help a stranger, you would not mind giving some of your healthy eggs away to hospitals to help couple who are trying for a baby. But what happens, if it is on the other side. The side where you are the couple who need to find an egg donor. I guess, it must be a big decision, to decide for it or against it. Most egg donations are anonymous. Great. Organ donor vs Egg Donor. Would you donar organ if you needed one? If you couldn’t have children, would you get an egg donor? If you don’t support organ donation, don’t they both fall in the same category? It is a body part, something out of another body, then out in your body to help you. Is it a selfish thing to do? Is it moral? Immoral? unethical? Then suddenly, religion and culture jumps right into the middle of it all. What do you do when you are bored? I like to skim, flick through some boring magazine I find lying around, in random places, like at work in the staff canteen, on the bus or in the local library. I happened to come across an article about Brad Pitt and Angeline Jolie – which I found very interesting. These are two mega stars in USA, both making lots of money. Both worth a hell of a lot of money. From their previous experiences, of divorce – Pitt in his last marriage and Jolie – from her previous three, they both had messy divorces. They both decided that when they finally hitch, they will split everything down 50/50, as they have children involved. in case their marriage breaks (you don’t want to think of the worse case scenario) and what ever they made before they both got married, in the single days, they can’t touch. That is for themselves. Isn’t that a terrific idea? Sometimes, you can learn something new about famous people and their experiences. It is amazing what little pleasures of life can do to oneself. Give you a personal little lift. I have decided now that for my new year’s resolution I will commit myself to fun, active, amazing feeling good things to do list. If that makes any sense to you guys out there. So, for example, I will push myself and cross boundaries where I have never been. Push myself out of my comfort zone. I have done something like this in my job, couple years back, all down to someone saying to me that I am not very ‘daring’ or what was it…thinking..thinking… ah that’s it.. oh darn it’s gone from my head again.. something like achieving.. in the lines of ruthless but not.. in the lines of.. that’s it! i have remembered ‘ambitious’. Some one said to me, I am not ambitious enough. Depends what that word means to oneself. Everyone sees and views life differently. So what did I do, I improved myself and goodness, I felt really good. It was scary and exciting at the same time. So yes, do something a little different everyday. What did I do today? Well, I went window shopping and bought something which I didn’t expect to ever buy and you know what? it felt good. I got a really good deal and I saved a few bucks. That’s cool. We are in the recession, for goodness sakes! So why the hell not?! We have the one life! I have the one life. I work hard, too hard maybe (finished writing my column at 2am and it was two sides of A4) and don’t really socialize (so why not?) I have to stop talking like I am a group of people, keep using the word ‘we’ – anyone else out there who do that, instead of using the word ‘i’? At least I didn’t go on a shopping spree and buy gorgeous smelling leather handbags – don’t you just love the smell of real leather? Or buy shoes.. actually a couple of weeks ago, I did buy some pretty blue pumps (you know the flat types), comfy soft, that suit a pair of skinny jeans – don’t know why though – as it is freezing at the minute. Not very practical. I still love them any how. Shopping can be very therapeutic. Impulse buying might be really bad. But if you can control yourself, then you should be fine. My little weakness, is movies.. I bought a couple dvds earlier… Good bargains! Do I really need them? No. Yet I love watching films. Who doesn’t? So, new years resolutions.. 2014…travel places where I have never been to. Obviously, somewhere not to expensive, got to be realistic. What makes me happy? do things that I love and just didn’t seem to have much time this year to do. There is a quote that Gandhi said – I can’t remember it.. I know for a fact that it is in the film “Remember Me” stars Robert Pattison, Pierce Brosnan, and the TV series Lost girl. Robert’s character keeps repeating the quote throughout the movie. It is a good quote. “What ever you do in life will be insignificant, but it is important that you do it.” – Mahatma Gandhi. Ah, it’s now 02:32 UK time. To be successful, you don’t have to be a social butterfly. Going to parties and social invites night in and night out.. There is evidence of this theory, if you don’t socialize, you can focus what is important to you. Career, great job and family matters. I read an article about a woman who worked her way up a newspaper company and became the editor, All down to the aspect of having no friends. I have no friends and I am okay with that. Less christmas presents and birthday cards to buy. Less expense from a logic view. Focus what is important to me. Don’t listen in on work gossip and work politics, you won’t get hurt. A life is like a canvas. A blank canvas is a newborn child. One you begin to paint, your life begins to start. Experiences form. When you look back at your past, you can say ‘i had a good childhood.’ when you were a child you dream to be older and have luxury like a car, holidays and a career. When you grow up, it is not that easy. I never thought I my life would be the way is it. Sometimes, I don’t know where to start. It is a dark place as the moment and I pray and hope that it will become bright again. Writing helps, and so does painting. nothing seems to be happening. It is good to have a diary. Looking back this year has been a tough one. finally blogging, i enjoy this more than social networks. strange world we live in. typing, writing, sketching. life will get better, don’t know when. i hope next year gets better.